Sweeping changes have been made to the leaving certificate appeals process. Rebecca Carter took High Court action after her leaving certificate marks were incorrectly totted up, delaying her entrance to college. The government has changed the leaving certificate appeals process after a student whose marks were totted up wrong, delaying her entrance to college, won a High Court case against the State Examinations Commission. Leaving certificate students who appeal their results will learn the outcome of their appeals much earlier than before as part of the changes. The changes, which were announced today by Minister for Education Joe McHugh and Minister for Higher Education Mary Mitchell O’ Connor, will mean that the results of appeals will be released by the State Examinations Commission on September 16th this year, three weeks earlier than the normal date – October 10th. As a result, students who appeal to third-level institutions through the CAO will now in most cases be able to begin their courses in the same year, rather than having their offer deferred by a year. 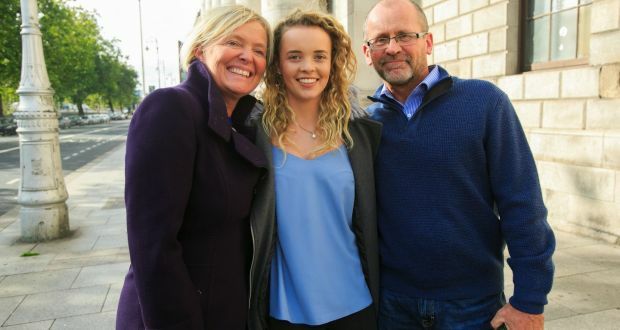 The adjustments come after a Leaving Certificate student, Rebecca Carter, went to the High Court after a marking error meant she lost out on the points required to study veterinary medicine in University College Dublin. Judge Richard Humphreys described the current appeals system as “highly unfair to Leaving Cert students”. The changes to the appeals process are part of a fundamental re-engineering of the way students get their results. CAO round one offers will now also be made earlier, and provisional results of the Leaving Certificate will now also be released earlier. Appeals examiners will now mark scripts full time, rather than only in the evenings and at weekends. The government hopes to move the correction basis online within the next three years. Higher education institutions are to strengthen the supports available for appeals students who join their courses late. “I am confident that these changes, together with the measures being introduced by the Higher Education Institutions, will significantly improve the position for students who appeal their results from next year onwards”, he said. Mitchell O’Connor said in a press statement that “higher education institutions will offer improved supports for students who begin, or change courses, after the start of first year orientation, including academic supports where needed. This will ensure that students are given the best opportunity in their course”.